Fact: I will never skip a Super Bowl party. Why? Well, the snacks, for one thing — but, mostly, it's to witness the often epic halftime performances. Who cares who won the game when you have celebrities like Katy Perry floating through the air, or Bruno Mars teaming up with the Red Hot Chili Peppers? I certainly don't. I do very much care about this new Super Bowl development, though: according to Entertainment Tonight, Beyoncé will be performing at the Super Bowl 50 halftime show alongside Coldplay, so be still all of our beating, Bey-adoring hearts. Queen Bey's performances throw the world into a frenzy no matter what the reason behind them, but combining the "Single Ladies" singer and the Super Bowl just feels right. The biggest night in sports needs the biggest star, and Beyoncé still reigns supreme in that department. Bey doesn't need any credentials other than being herself to play the Super Bowl, but fans can rest easy knowing that they are in for a truly epic treat when Beyoncé takes the stage during halftime this February. After all, Bey totally slayed at the 2013 Super Bowl — it's about time that the NFL decided to bring her back for an encore. 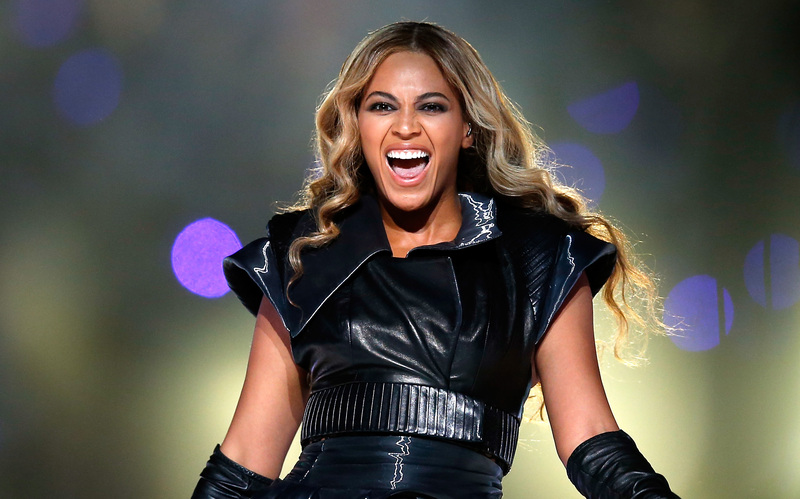 It's no secret that Beyoncé's first Super Bowl performance was one for the books. The songstress certainly injected a heavy dose of girl power to the often male-dominated event, and while Bey was certainly the star of the show, she didn't forget the ladies she rose to fame with. Destiny's Child reunited at the Super Bowl, with Kelly Rowland and Michelle Williams performing "Bootylicious" and "Independent Women Part I" alongside Bey, and later joining her for "Single Ladies." So, what can we expect from Bey's performance in 2016? Well, for one thing, I'm guessing we'll likely hear a whole bunch of songs off of Beyoncé's self-titled 2013 album. "Drunk In Love" didn't even exist when Beyoncé performed at the Super Bowl in February of 2013 (the surprise album dropped in December of that year) so while she may bring back some classic hits, we'll certainly get some newer Bey tunes at Super Bowl 50. Really, though, no matter what Beyoncé performs at the Super Bowl 50, her presence will already be a showstopper. It's just nice to have her back in the Super Bowl game.